Located in the tourist town of San Pedro on the beautiful island of Ambergris Caye, the Belizean Shores Resort presents a fabulous beachfront destination. Featuring an outdoor pool with a spa tub and swim-up bar as well as a fine restaurant with 360-degree panoramic views, this beach resort offers its guests spacious condo suites with full-service kitchens, high-speed Internet and cable television. Guests can enjoy recreational activities here such as beach lounging, swimming, water skiing, kayaking, volleyball and tennis. 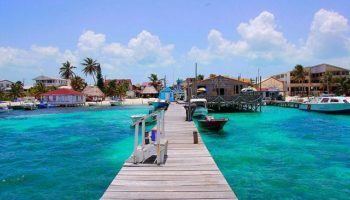 What’s more, guests can opt for excursions like deep-sea fishing, snorkeling and scuba diving at the nearby barrier reef as well as shopping and sightseeing trips into Belize City. 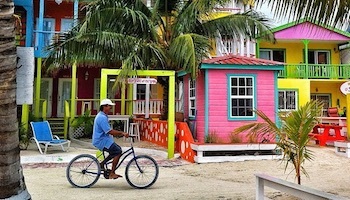 A cozy inn settled on a private island near Belize City makes the St. George’s Caye Resort a perfect vacation getaway. Guests can enjoy relaxation and recreation with on-site amenities like a full-service spa, marina, outdoor pool and restaurant. Rooms feature minibars, ceiling fans, balconies that open to ocean or garden views and cooked-to-order breakfast. 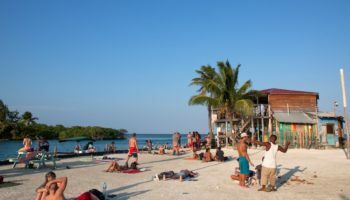 The private beach offers various water sports while nearby adventures include horse riding, hiking and helicopter rides as well as sightseeing attractions like the Baron Bliss Lighthouse and the Museum of Belize. Surrounded by idyllic landscapes like a private beach, tropical rainforest and barrier reef, the Belizean Dreams Resort lives up to its name as a dreamy destination. Situated in the charming Hopkins Village, this resort features an outdoor infinity pool, restaurant and full-service spa in addition to massages right on the beach. Guests can indulge in the room amenities of air-conditioning, ceiling fan, microwave, wifi and veranda views of the ocean. 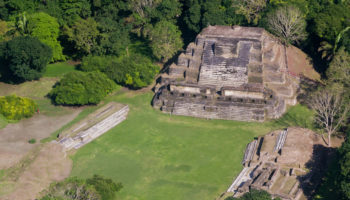 With regional attractions like the Belize Barrier Reef, the Cockscomb Jaguar Preserve and the Mayflower Bocawina National Park, guests can enjoy a wide range of adventures like canopy ziplining, cave exploring, snorkeling, scuba diving and Mayan temple tours. A spectacular complex of family beach houses located in Dangriga in southern Belize, the Hopkins Bay Resort presents a premier destination for a family vacation. Just steps from the Caribbean Sea, guests can have fun at the beach or enjoy resort amenities like the outdoor pool, gardens and playground. Additionally, guests here can dine in the restaurant or hire their own cook. Beach houses feature spacious bedrooms and furnished balconies with views of the Caribbean Sea. Nearby adventures include whale-watching, ziplining through the jungle and exploring ancient Mayan ruins. Nestled on a remote stretch of beach in San Pedro, the Matachica Beach Resort offers privacy and romance for adults only. Couples can pamper themselves at the full-service spa or opt for an in-room massage. Other amenities include a fitness center, outdoor pool, bar, billiards table and restaurant. Guests can enjoy beautiful rooms with private bathrooms, bathrobes and balconies. 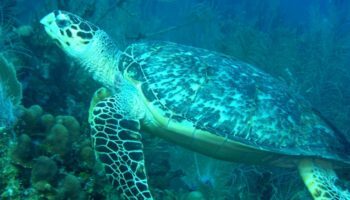 On-site activities include swimming, sailing, kayaking and windsurfing while area attractions offer snorkeling, scuba diving, surfing, boogie boarding, hiking, birdwatching and glass-bottom boat tours. 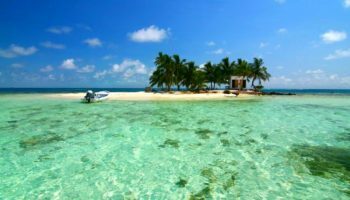 The Singing Sands Inn presents a quiet and beautiful setting on its own private beach nearby Placencia in southern Belize within easy access of Maya Beach. Guests here can relax by the outdoor pool, take advantage of the spa treatment rooms or enjoy swimming, snorkeling, sailing and fishing at the beach. In addition to a beachfront restaurant, the resort features rooms with ocean views, private bathrooms, ceiling fans and complimentary bottled water. Nearby excursions include boat cruises, cave exploring, ziplining, helicopter tours and a bowling alley. Just three miles from San Pedro, the Coco Beach Resort offers a pristine white beach for both water fun and romance. Boasting one of the largest outdoor pools in Belize, the resort also features a swim-up bar, spa tub and restaurant. Guests can choose among quality standard rooms to luxury suites and private villas. All accommodations offer satellite television, wifi and balconies that open to ocean or pool views while the villas include full-service kitchenettes. Guests can engage in on-site activities that include yoga, swimming, kayaking, snorkeling and fishing in addition to local recreation such as scuba diving, sailing and kite-surfing. Set in a tranquil setting on a private beach in San Pedro, the Grand Colony Island Villas features guesthouses with kitchens, washers, dryers, wireless Internet service and balconies or patios with scenic views. Guests can enjoy access to the outdoor pool, marina, restaurant and beach. 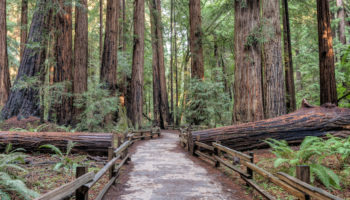 Nearby attractions and adventures include eco-tours, river rafting, yacht cruises, glass-bottom boat tours, deep-sea fishing and whale-watching. Situated on a sandy beach in San Pedro flanked by the Western Hemisphere’s largest barrier reef, the Sueno Del Mar presents a charming Caribbean vacation resort with beautiful condominiums. Guests can swim, snorkel or sunbathe at the beach, or play in one of the two outdoor pools and waterslide. Other amenities include tropical gardens, fitness center, restaurant and complimentary bike rentals. Condos feature kitchens, high-speed internet and balconies with beach and ocean views. 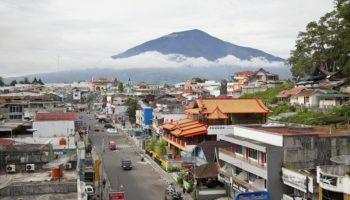 Nearby recreational activities include golf, kite-surfing, parasailing, scuba diving and hiking. 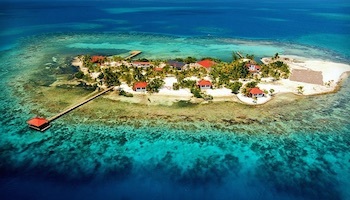 An attractive complex of eight luxurious villas just three miles from San Pedro, the Belizean Cove Estates offers one of the best Belize beach resorts. Each villa is individually decorated and features fully equipped kitchens with stainless steel appliances and incredible Caribbean views from the master bedrooms and living rooms. Guests can also enjoy access to an outdoor pool and Jacuzzi tub. 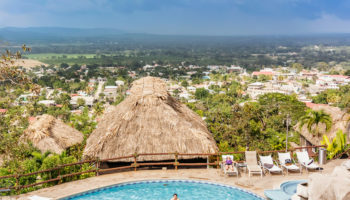 In addition to on-site activities like swimming, snorkeling, scuba diving and boating, guests can venture out for shopping, sightseeing, cave tubing, horse riding, ziplining and exploring Mayan ruins. 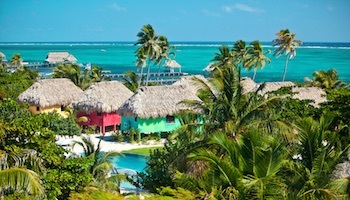 Nice list of the best beach resorts in Belize. I would have love to see Victoria House and Chabil Mar in the list. 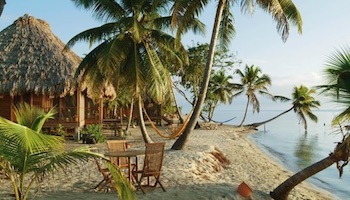 these are not the 10 best beach resorts in Belize, especially not in that order. Thanks for sharing your post! If you’re looking for luxury in the jungle, I recommend Chaa Creek, Chaa Creek is absolutely the place for you.